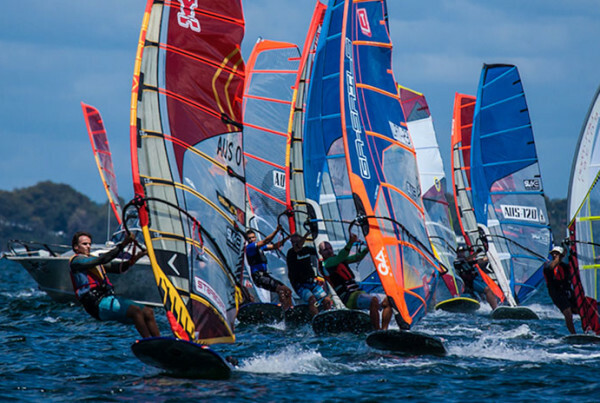 No doubt, nailing the start of any race is one of the most important factors in winning windsurfing races. Starting well requires great board handling skills, a good knowledge of the conditions and the fastest lanes around the course as well as nerves of steel and a tiny bit of guts. A great start usually paves the way for a great race as everyone behind you is fighting in your dirty air. But what happens when you don’t get a good start? No matter how much preparation you do, there can always be some unforseable disaster such as other boards crashing around you, sudden drastic wind changes that leave you stuck on the line or even a bit of carelessness on your behalf. So what do you do when you’re left floundering on the startline after the gun? Do you give up? Or do you shift gears and go on the comeback trail? This article we look at adjusting your game plan to minimise the damage done in a bad start. This article is adapted from a great article in the latest Australian Sailing Magazine (June/July 2009). The article was written by 1992 America’s Cup winning tactician David Dellenbaugh and originally published in Speed & Smarts, a newsletter by David on tactics, rules and boathandling. 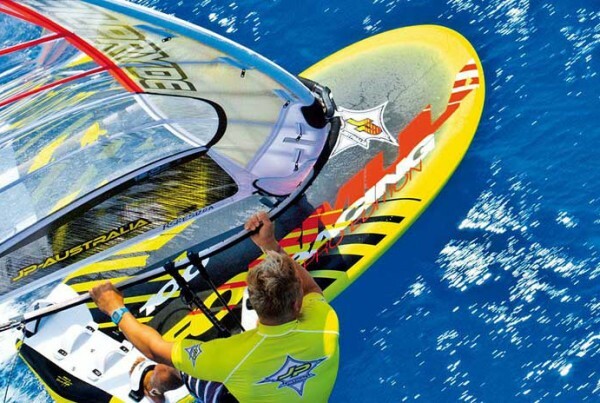 We have adapted it for Formula Windsurfers. Before you start punching holes in your sail or sailing back to the beach without so much as even attempting one upwind beat, take a moment to assess your current situation. Is this early or late in the race series? Do you already have a discard? How good is your boardspeed in relation to others on the course? How confident are you in your pre-race strategic plan? Why you should ask yourself these questions is to do with how much “risk” you would want to be applying when you get back on the comeback trail in the race. If you already have a few bad discards, it’s probably not worth risking everything to get back the bullet in this race. In any moment in a race, especially when you’ve had a terrible start, you must decide how much risk to take. Are you willing to go out on a limb and take a flyer out to one far corner of the course? Sure, it might be a winner and you’re back with the leading pack at the top mark, but it could just as easily be a loser, and you’ve wasted a chance to get a solid recovery score which will help consolidate your regatta results sheet. As a rule of thumb, when it’s early in the event (depending on how many races will be run at this regatta), you should generally take fewer risks. If you are recovering from a bad start, try to sail to your strengths; if you have good boardspeed, use that with one-on-one tactics to pass each board in front of you at a time. Taking large risks early on in the race can sometimes be a disaster. When you get closer to the finish line (eg, Lap 2) it’s time to start taking more risks to get the points you need. A good example of this is if after your bad start, you see most of the fleet heading left on starboard tack. There is a one in three chance (33%) the right side could pay off. These odds are probably not high enough to take the right side on the first beat, however, if you are still doing poorly on the second lap, it might be worth giving the right side a try. Not making simple tactical mistakes is always good, but it’s even more important when you are behind in a race. Usually, the leaders in a race are further spread apart, so taking risks to get from 3rd to 1st doesn’t have much damage associated with failing. When you are down the back of the fleet, there is much more traffic and dirty air; the boards are usually closer together so small mistakes can result in larger damages. When you get behind in a start, resist the urge to get frustrated and go for impulsive tactics. Sure, a bit of frustration is great for getting your adrenaline up, but don’t let it put blinkers on your race strategy. When you are behind, be patient and always pay attention to the boards in front of you to see the mistakes they are making and avoid them. 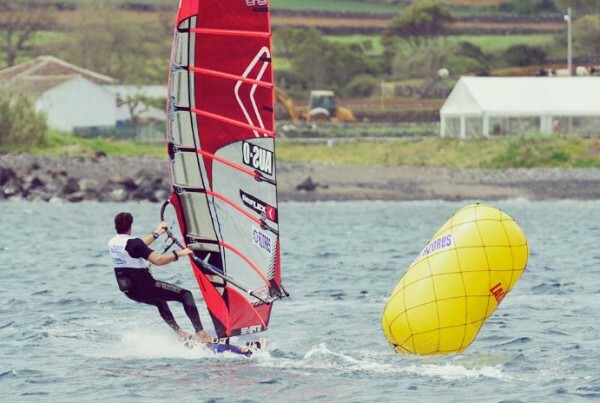 It’s very easy to pick the best areas of the course for wind when you are watching the boards in front of you sail in to a big hole or a gust. Avoid making mistakes by sticking to your strengths and pass the boards in front of you when they make mistakes. When you are playing catch up, another decision you will have to make is whether to focus on strategy (wind shifts) or tactics (other boards). Both are important, but which to favour depends mostly on whereabouts you are in the race. Immediately after a bad start, don’t worry about other boards, get as quickly as you can to the favoured side of the course and close the distance on the rest of the fleet. As you get closer to the finish line, the boards are spread out and you begin to run out of time to make large strategic plans. The second lap is when you should switch into tactical mode and start racing the boards immediately around you. Don’t Throw Your Plan Away! Many sailors often spend a long time before the start of the day’s racing collecting information out on the course about the wind, current, startline etc to find out which side of the first beat is favoured. But if they get a bad start they often seem very willing to forget about this information and head to the other side of the course. This often doesn’t make sense. Unless something changed in the start, the side that was favoured before, should still be just as favoured afterwards; if you decide to go to the other side of the course – you might be putting yourself even further behind! A common example of this is getting buried on starboard tack on the startline and then tacking on to port to get clear air – the sailor then usually sails to the right side of the course instead of tacking back on to starboard when he’s clear of the starting boards (see Figure 1a for a diagram of this). If the right side isn’t favoured – why sail to it? One tack should take you roughly 8 seconds, at 8m/sec speed (average planing speed for a FW board) you would only lose 64m. Be aware that on a normal 1200m windward/leeward course (taking 15-20 mins) you would lose MORE than 64m by sailing to the non-favoured side of the course. Conditions changed after the pre-start. Racing windsurfers is a very mental game. Very few sports place such a high value on sharp analytical thnking, so it is suprising that sailors don’t focus more on psychological training (we hope to get some more articles about ‘psychology’ on here in the future). A sailor can have the fastest gear and the best fin on the planet, but this doesn’t help you if you are ‘psyched out’ of the starts. It is difficult enough to remain focused when things are going right on the race course, let alone when they go wrong. Take a moment to read through this article again and hopefully having some more informed ideas about ‘what to do’ when it all goes pear-shaped, will give you that confidence boost you need to get back in to the race. again a really nice article. I’m one of those 60% thinking, 40% intuitive racers. So far it is giving me a good result, but sometimes it is good to look “at it in an 100% thinking” way. Helps you beter to understand what is really happening out there. A lot of it I think in a basic sense is common sense, however its important to be aware of all these concepts when you are racing.